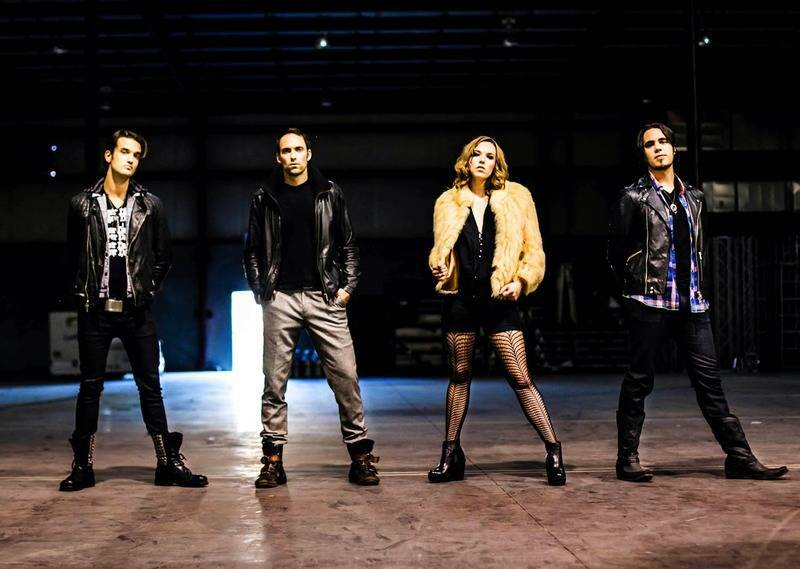 Halestorm is an American hard rock band from Red Lion, Pennsylvania, consisting of lead vocalist and guitarist Lzzy Hale, her brother drummer and percussionist Arejay Hale, guitarist Joe Hottinger and bassist Josh Smith . The group's self-titled debut album was released on April 28, 2009, through Atlantic Records. Their second album The Strange Case Of... was released on April 10, 2012. 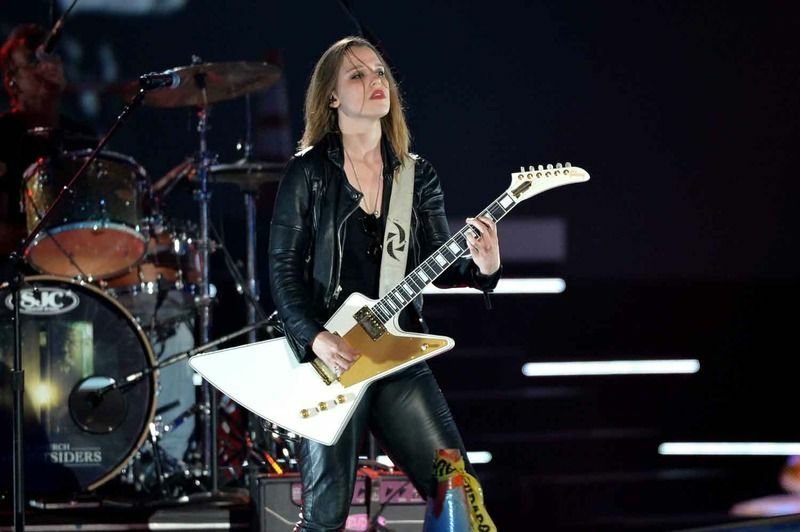 Its lead single "Love Bites (So Do I)" from that album won their first Grammy Award for Best Hard Rock/Metal Performance on February 10, 2013.Halestorm is well known for their near non-stop touring, often performing as many as 250 shows a year.Since 2006 they have toured with many hard rock and heavy metal acts including Chevelle, Seether, Staind, Papa Roach, Trapt, Three Days Grace, Theory of a Deadman, Buckcherry, Disturbed, Shinedown, Avenged Sevenfold, Stone Sour, Hellyeah, Heaven & Hell, Evanescence and Bullet For My Valentine. Halestorm appeared on the first annual Rockstar Energy Drink Uproar Festival,, and in October 2010 the band traveled to Japan to participate in the Loud Park Festival.Halestorm also appeared on the 2010 Taste of Chaos tour. 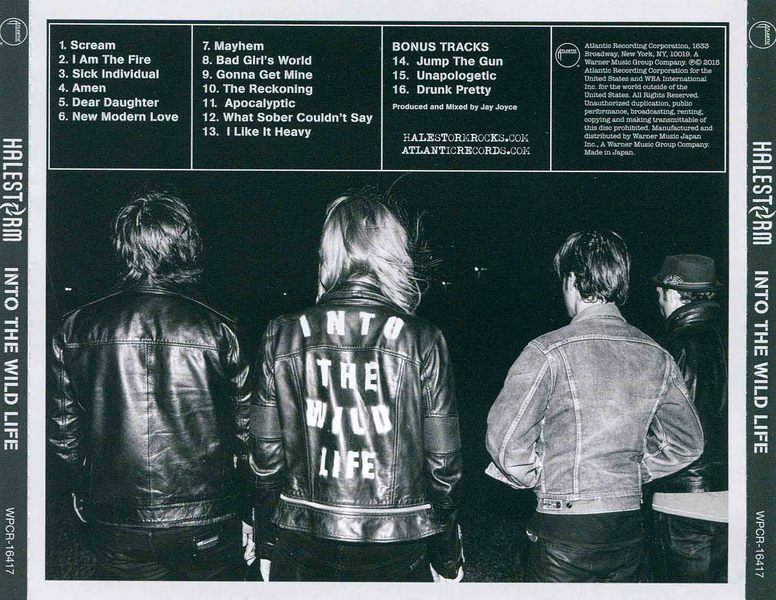 Into the Wild Life is the third studio album from American rock band Halestorm. It was scheduled for release on April 3, 2015 via Atlantic Records but due to unforeseen circumstances, it was pushed back by a week worldwide.Amelia of Baltimore, Maryland's 98 Rock radio station recently conducted an interview with HALESTORM singer Lzzy Hale. 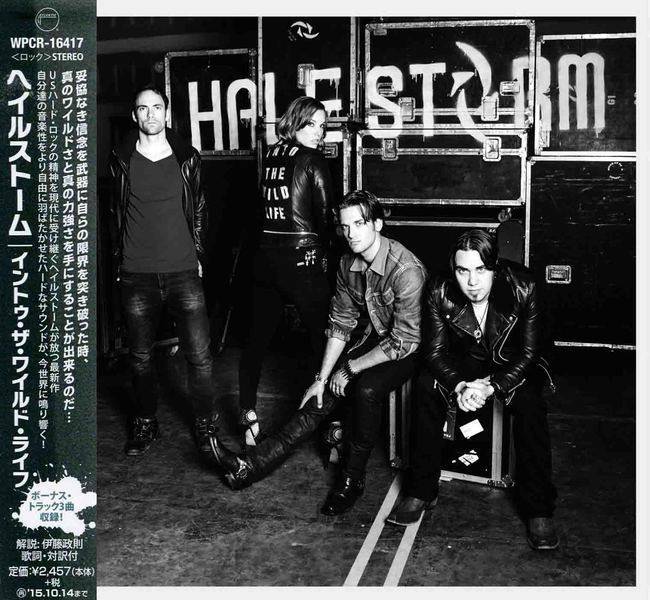 You can now listen to the chat using the SoundCloud widget below.Speaking about HALESTORM's new single, "Apocalyptic", which is taken from the band's upcoming third studio album, "Into The Wild Life", Lzzy said: "It was one of the most fun songs to do on this record. And I felt like it was important to have a song like this, especially coming right out of the gate, because it's a great, happy medium between where we everybody off and then where we're going. "She continued: "There's some craziness on this new record. People kept guessing, 'Okay, [you will] stray from who you are, because it's your record.' And I'm, like, 'No, no, no.' It's the complete opposite. 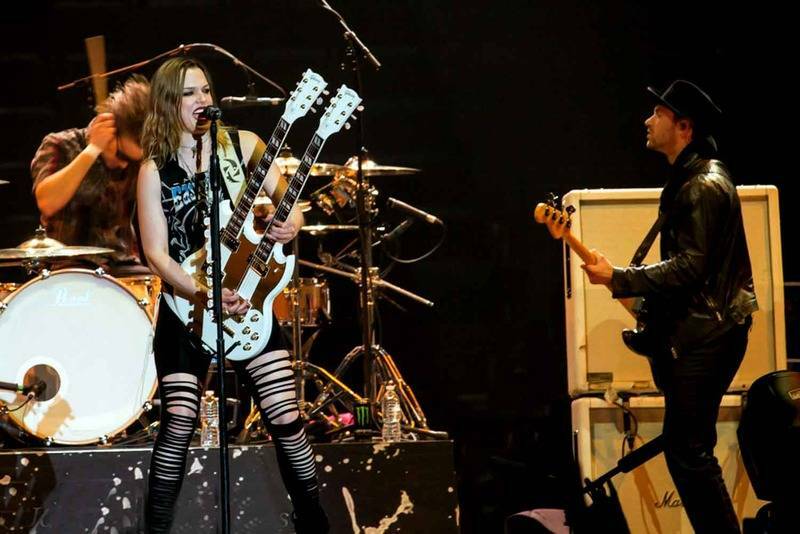 It's just further down the rabbit hole of everything that is HALESTORM. So, I apologize ahead of time, because there's a lot of truth to this record. [Laughs] I apologize to my mom…""Into The Wild Life" will be released in Europe on April 3 and North America on April 7.The CD follows up HALESTORM's Grammy-winning 2012 sophomore effort, "The Strange Case Of…"The new disc was recorded last year in Nashville and features 13 new songs.HALESTORM is currently touring with Eric Church and has announced a series of live dates with THE PRETTY RECKLESS that will begin in late April.